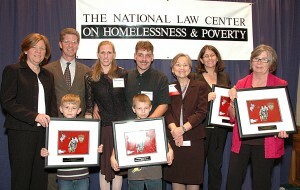 People seem to be drawn to the National Law Center on Homelessness & Poverty in many different ways. 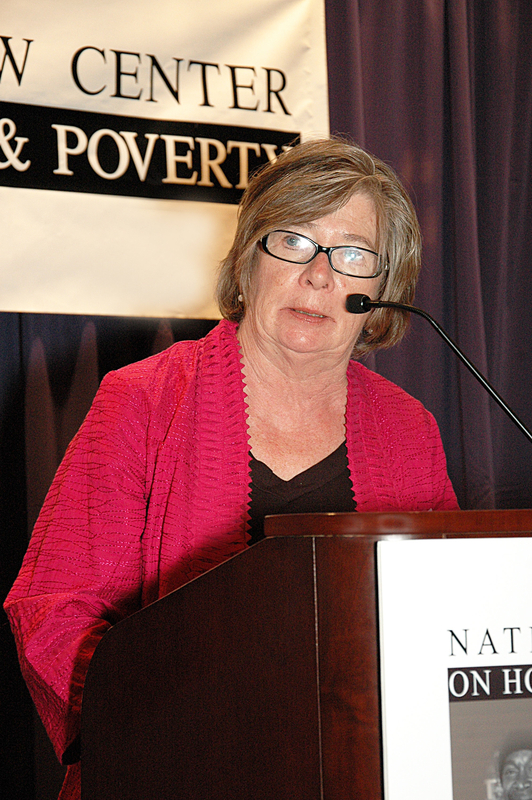 Some come to us because they are fighting to keep homeless children in school. Others come because they are interested in our work to prevent survivors of domestic violence from becoming homeless. And the list goes on. 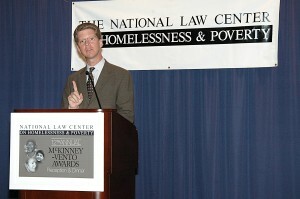 For me, it was an interest in (disgust with) the criminalization of homelessness. As a graduate student studying the rhetoric of homelessness in the United States, I was appalled by the growing trend toward punishing people for living their lives in public, especially when there’s no other option for them. 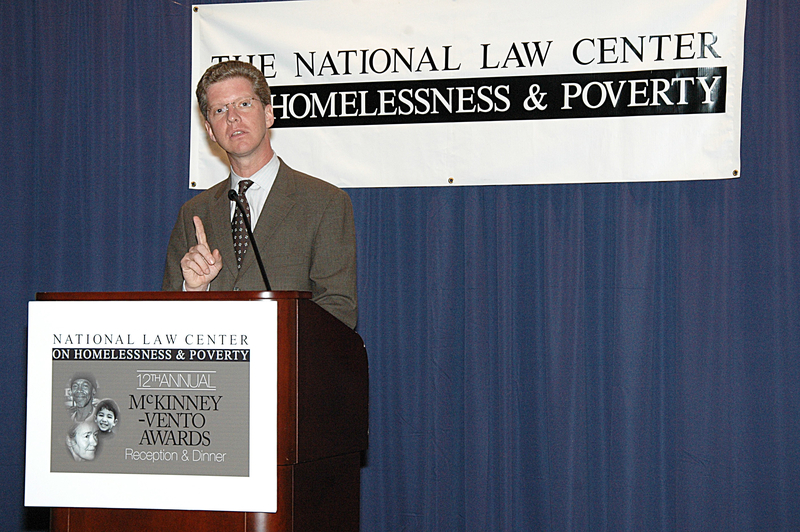 Since I’ve joined the Law Center’s staff, I have learned about countless ways it has influenced federal and local policies to both prevent and end homelessness. But on Thursday night, at our 12th Annual McKinney-Vento Awards for homeless advocates, I was most deeply impacted by the remarks of our guests on criminalization. That’s right. Criminalization only increases costs. 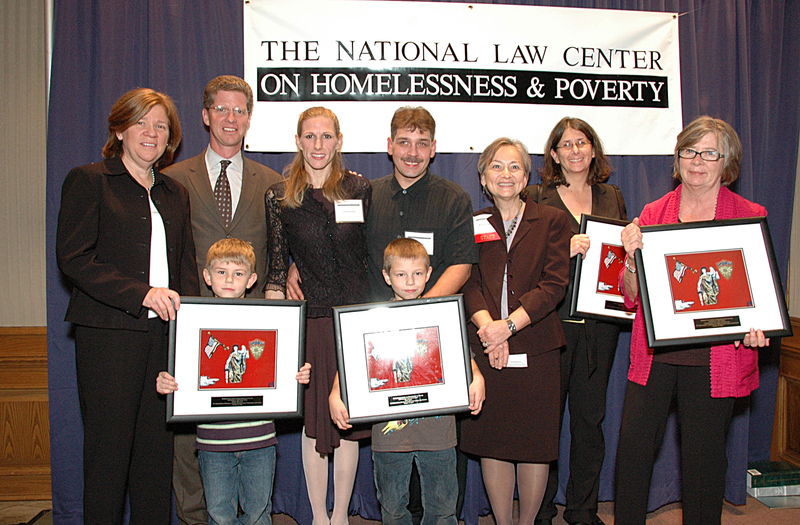 All of the evening’s honorees, including Dechert LLP, the Education Law Center of Pennsylvania, and the Elzer Family, have fought to help protect people experiencing homelessness. And I, after sharing this evening with them, am renewed and inspired in my commitment to being a part of finding solutions to end and prevent homelessness in our country. No one should be without a home, and no one should be punished for not having a home. Special thanks go to Bruce & Lori Laitman Rosenblum, presenting sponsors, and the Leonsis Foundation, event sponsors. Click here to learn more about our sponsors. Not able to join us? See more photos from the awards here. 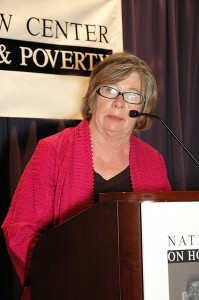 This entry was posted in Human Rights and tagged Civil Rights, education, homelessness, McKinney-Vento Awards. Bookmark the permalink. One Response to Oh, what a night!